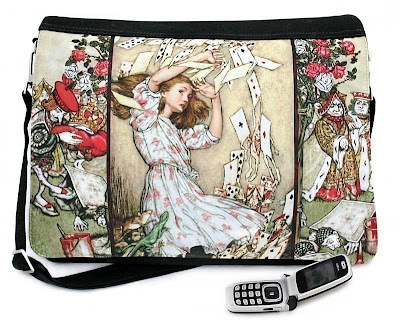 My new Alice In Wonderland bag! Alice In Wonderland lovelies spotted on Etsy! I had to share this gorgeous bag I spotted on Etsy. Of course it features Alice in Wonderland. You can find this and other stunning pieces at babastudioPrague, found on Etsy. Gorgeous!